Diageo and HBO exclusively launch a collection of Scottish malt whiskeys inspired by the television phenomenon Game of Thrones. Tanqueray has discovered what is the true color and the flavor of Seville ... Because Seville has a special color! Do you like flavored and very aromatic gins? Discover the excellent range of Teichenné Premium Gins. 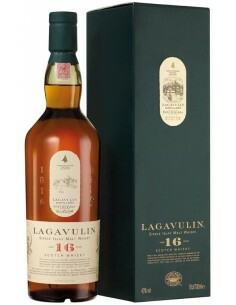 Lagavulin 16 Year Old 70 cl. La Planta 2017 75 cl. Talisker 10 Year Old 70 cl. Arzuaga Crianza 2016 75 cl. Beronia Reserva 2014 75 cl. A culture of patience and dedication. Lands bathed by the Duero, a severe climate, expert hands, a pact with time. Dedication, soul, passion ... A mystery impossible to explain. Is this the origin of the myth? Dedication and passion in the production of organic wines. Enjoy our organic wines, drink softly and slowly, knowing that each sip was born from land cultivated by the sun, rain and the Spanish moon. The essence of the heart of the Ribera del Duero. Vinos de La Luz is a family business that passionately develops the generational legacy of producing unique wines throughout the world. As an international company we share the same philosophy and mission: To watch over our tradition, quality and respect for the land and its fruits. Passion and experience in mixology. Teichenné is a family business dedicated to the production of liqueurs and derivatives since 1956. With exports to more than 50 countries around the world and thanks to its excellent range of products "Schnapps", it is positioned as one of the leading companies in the sector of cocktails and especially in support of the bartender's professional sector. 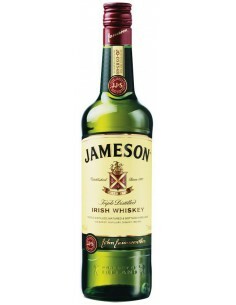 Experts in liquors since 1755. Marie Brizard's masters of liquors focus all their passion, experience and effort to develop an exclusive liquor catalog and using high quality raw materials. Discover the presence of a brand whose products are sold all over the world. TEMPUS EST AMICUS MEUS... "Time is my friend." The success of the brandy is based on the quality and dedication with which Bodegas Suau, has been developing its products in its more than 150 years of history. A brandy of superior quality aged exclusively and handmade in Mallorca. The artisan spirit of the first rum masters. Las Palmas, the perfect setting where the Aldea distillery achieves a perfect harmony with nature, history, culture, tradition, craftsmanship and quality, to produce its excellent range of rums. The wind, the sun, the sea ... essence of the Canary Islands. Santa Cruz de Tenerife Distilleries has created an exclusive brand of quality, which has revolutionized the Canarian rum market, providing an innovative image for an increasingly demanding consumer, betting on quality and design throughout its range of products.